Chairman John Bajumpaa called the meeting to order at 7:55 P.M. The meeting began with member introductions, with members identifying their affiliation with the 4Cs, whether representing a member club or as individual members. Previous Meeting Minutes: A motion to accept the minutes of the November 5,2018 meeting as published in the February 2019 issue of The Voice was seconded and passed. Treasurer’s Report:Treasurer John Jarush reported the bank balances as of January 31, 2019. John noted that payments to Hughes and Cronin and for our annual business filing arepending and due to be paid. A motion to accept theTreasurer’s report was seconded and passed. John also reported that our bank, Farmington Savings, has been purchased by People’s United Bank. It appears that certain terms and fees will be changing in ways that appear to make our banking activities more difficult to manage. Consequently, we will be investigating alternative institutions that may better suit our needs. Legislative Report:Dave Bajumpaa expanded upon the comments he wrote in the Legislative Report in the February newsletter. Prefacing his comments, he noted that the Governor’s proposed budget seems to propose many extreme positions (e.g., taxes on groceries), probably in the interest of making the final compromises seem satisfactory by comparison. Regardless of the strategy,it’s apparent that a considerable amount of work needs to be accomplished to adopt an effective budget. Dave’s report referenced HB-5858 and HB-5849 which address the manner in which insurance companies value and ultimately assume ownership of totaled classic vehicles. (See details in the published Bill Summary in this newsletter). He explained that we don’t know what prompted the introduction of these bills, and unless we learn more and can determine whether they are significant to automobile hobbyists, we will not be taking an official position on them. More appropriate to our interests would be any legislation that would remedy the problem where that the lack of a title prevents an insurance company fromdeclaring such a vehicle as totaled.Dave also noted Senate President Pro Tempore MartinLooney’s proposal to create a state-level motorvehicle property tax, in lieu of municipal motor vehicle taxes, that would be distributed back to municipalities on a proportion determined by the state. Regardless of the politics involved, our interest and attention will focus on ensuring the maximum $500 assessment on classic vehicles is preserved, and that any proposals don’t otherwise disadvantage the automobile hobby.Two automobile-related bills were introduced too late to appear on our summary: HB-6973 providing that number plates only be required on the rear of motor vehicles when no adequate mounting place exists on the front of the vehicle, and HB-6583 allowing the DMV to publicly auction desirable number plates via the internet. Neither bill negatively impacts automobile hobbyists. Dave was asked about the value of personally appearing at a public hearing on any particular issue,as opposed to filing written testimony via email, a process that eliminates the time-consuming effort to appear personally before the committees. He explained that there still is significant worth in appearing in person: the legislators seem to appreciate the effort and note our particular interest in important issues. Consequently, we will continue to appear in person when it’s appropriate. 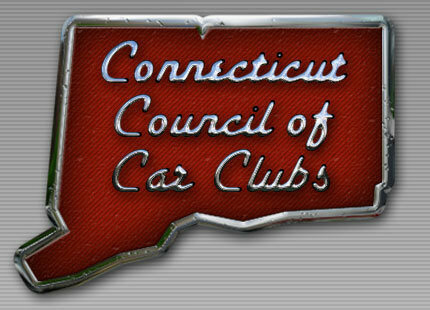 Regarding our continuing interest in making it easier to obtain titles for vehicles 20-years old or older, Dave will prepare a draft of a suggested letter that the membership will review and discuss at our next meeting. After a new commissioner is appointed, we should be ready to approach with our ideas and suggestions. There being no additional business, the Meeting adjourned at 8:49 P.M.
Next Meeting:Our next meeting will be Monday, April 1, 2019 at the Athenian Diner Restaurant (dinner at 7:00 p.m.).